The AFC East has for the better part of this millennium always been ran by Tom Brady and the New England Patriots but this year the Miami Dolphins seem to be the only team with the talent and sustainability to dethrone the Pats from recapturing the Division crown. The Bills and Jets are in the rebuilding phase so don't expect much out of them this season. Week 1 gave us our 1st look at all 4 teams in the AFC East so lets recap at everything that transpired on the first of many NFL sundays in 2013. This one was a lot closer than expected but the Patriots still managed to pick up the win at a rowdy Ralph Wilson Stadium. The game showcased 2 quarterbacks at 2 completely different ends of the spectrum. 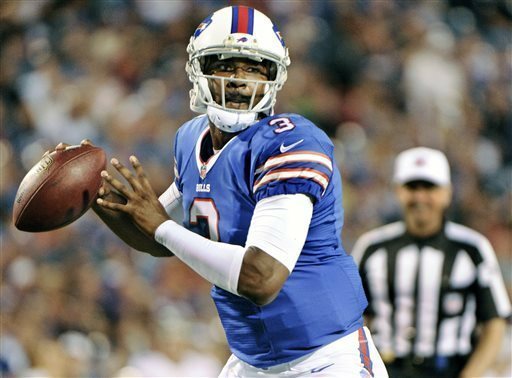 Tom Brady has multiple super bowl rings and is a sure fire hall of famer, EJ Manuel is fresh out of Florida State making his rookie debut for the Bills. The game started like anybody would expect by the Patriots jumping out to a 10-0 lead due in large part to a touchdown reception from Julian Edleman. Then the Bills gathered some momentum as Da Norris Searcy recovered a Stevan Ridley fumble and returned it 74 yards for a Bills Touchdown that cut the lead to 10-7. Later on in the 2nd quarter Brady puts the Patriots back up by 10 points on another touchdown pass to Julian Edleman, the Pats were now up 17-7. Just before the quarter ended EJ Manuel found Robert Woods for an 18 yard touchdown pass to cut the deficit to 17-14 at halftime. Early on to open up the 3rd quarter EJ Manuel leads his team 80 yards down the field and finds Stevie Johnson for an 18 yard Touch down pass to give the Bills a 21-17 lead. 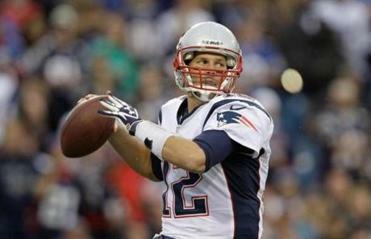 In the 4th quarter the Pats played from behind and needed 2 field goals to take the lead. Stephen Gostowski hit a 33 and 35 yard field goals to give the Patriots their 1st win of 2013 and the give the Bills their 19th loss in their last 20 ames vs the Patriots. 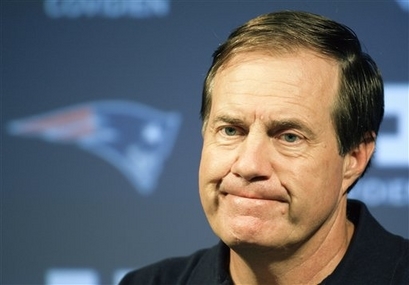 Bill Belichek moves up he all-time coaching wins list passing Marty Schottenheimer with his 206th career victory today. Usually against a team like the New England Patriots some rookie quarterbacks would put pressure on themselves to do to much but EJ Manuel looked poised from the start. The Former Seminole went 18-27 for 150 yards and 2 touchdowns. This off season the Dolphins focused on surrounding quarterback Ryan Tannehill with more weapons by signing guys like Brandon Gibson and Mike Wallace. 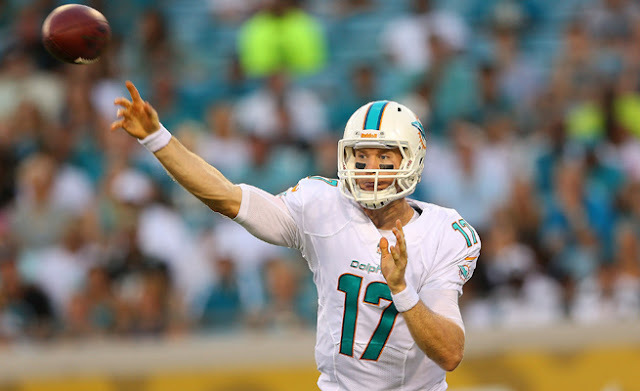 So far it seems to have payed off with Tannehill throwing for 272 yards really spreading the ball around. While he still threw to Brian Hartline a lot he still managed to complete 7 passes to Brandon Gibson and 5 to Charles Clay. It was great to see him spreading the ball around and taking a few shots down the field. While there were many things to critique as far as offensive fluidity the Dolphins looked decent on offense. Brian Hartline had a huge day today with his 9 receptions, 114 yards and 1 touchdown. He is Tannehill's favorite receiver and the Dolphins could use more games like this from him as the season moves along. 2 major concerns I have for the Dolphins though is 1. pass protection and 2. running game. Before Tannhill established his rhythm in the 2nd half he had a hard time hitting his receivers due to pressure from the Browns defense who collected 4 sacks and tons of pressure on him. It goes without saying that the o-line must improve once they start playing better teams. In addition to that the run game was non existent with Lamar Miller and Daniel Thomas combining for 17 yards on 18 carries. In the NFL you need a respectable run game in order to win at a high level and 18 rushing yards from your 2 starting running backs is not the production Miami is looking for. The Dolphins defense was brilliant as a unit today collecting 6 sacks and 3 interceptions. Cameron Wake as usual led the charge for the defense collecting 2.5 sacks and being that dominant player he has proven himself to be over the last few seasons. There was pressure and everybody executed pretty well for most of the game but the Dolphins Defense is usually the strong suit of the team, lets see how consistent they can stay. Cameron Wake with his 2.5 sacks today notched the 10th multi sack game of his career. Wake has collected more Sacks then any Dolphins player over the last 4 seasons. Mike Wallace was the big money signing for the Dolphins in the off season and Sunday vs Cleveland looked out of sync with Quarterback Ryan Tannehill. Its early in the year so this can still be fixed but Mike Wallace must be more of a factor in the Miami offense 15 yards on 1 catch just won't cut it. Personally I think inability to establish the run game prevented any kind of play action passing situations for Wallace & Tannehill, once that gets straightened out then we will see Wallace doing what he usually does. 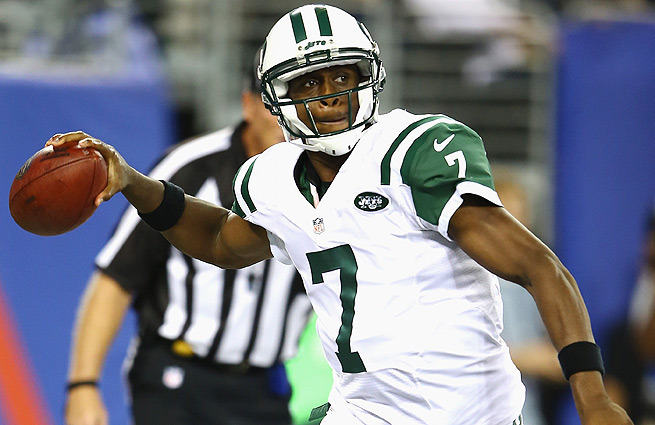 In the return of Darrelle Revis back to New York the Buccaneers were stunned by Geno Smith and the Jets. With little to no time left on the clock Jets Rookie QB told his teammates down by 2 with a bunch yards to gain that the game was not over. It turns out he was right on a scramble outside the pocket Lavonte David of the Buccaneers was flagged for unnecessary roughness which happen to move the Jets 15 yards up the field and led to a Nick Folk 48 yard game winning field goal. The Bucaneers had than 10 penalties throughout the course of this game but that still doesn’t take away from what Geno Smith did on the field today. He did a good job of spreading the ball around the field as 4 receivers had 3 receptions or more. It wasn't pretty but its still what you would want to start the season if your the New York jets.